It really is starting to feel like autumn now and I have been craving this dish all summer and I finally got around to whipping this dish up a couple nights ago. 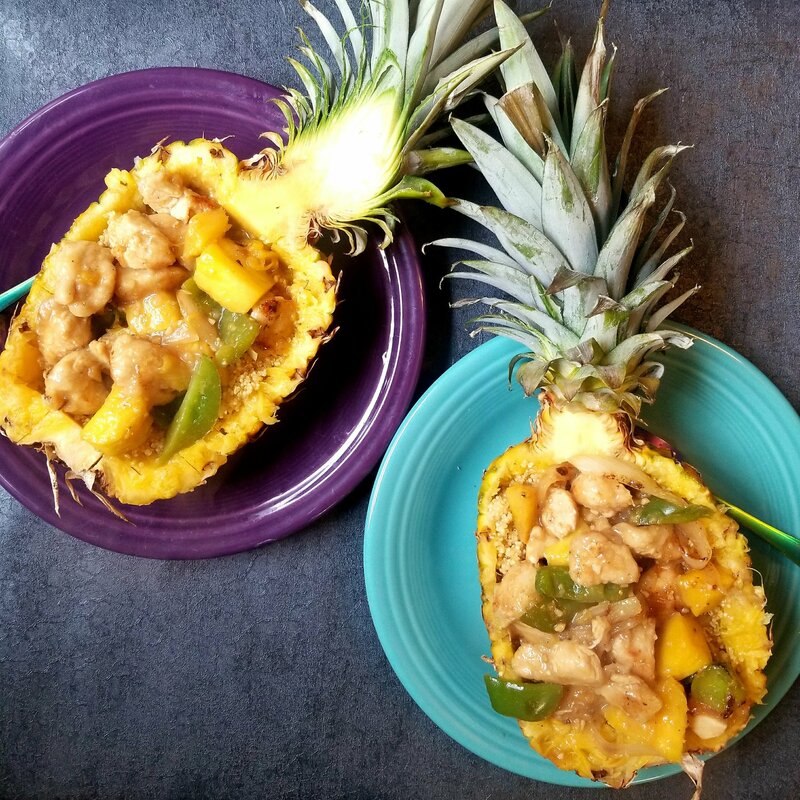 I created a pineapple dish with a sweet honey teriyaki sauce (the sauce is paleo compliant) with chicken breast and some ginger & orange quinoa. My daughter, Chloe, was super duper excited to chow down on this dish. It is so fun to eat your food out of a pineapple, right? This dish is gluten-free and will also be paleo if you just leave out the ginger/orange quinoa.